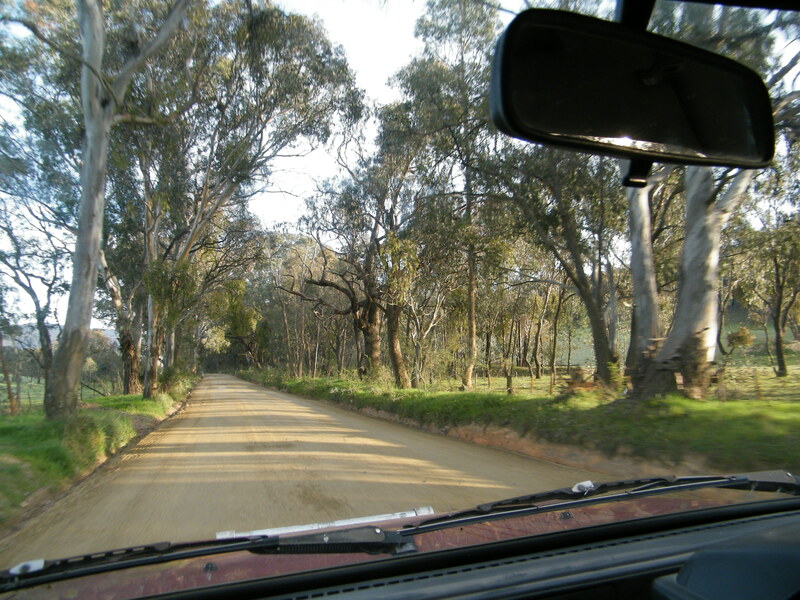 (No, not in this picture – the next one) The road we traveled changed from a bitumen highway to a dirt one as we explored other routes through the hills on New South Wales – I had taken dozens of shots when I caught a glimpse of a dozen kangaroos bounding across the paddock (exactly the sort of camera shot I was after), except that the camera had automatically turned itself off and took a moment to get it active again – by which time the entire group had scattered out of sight. 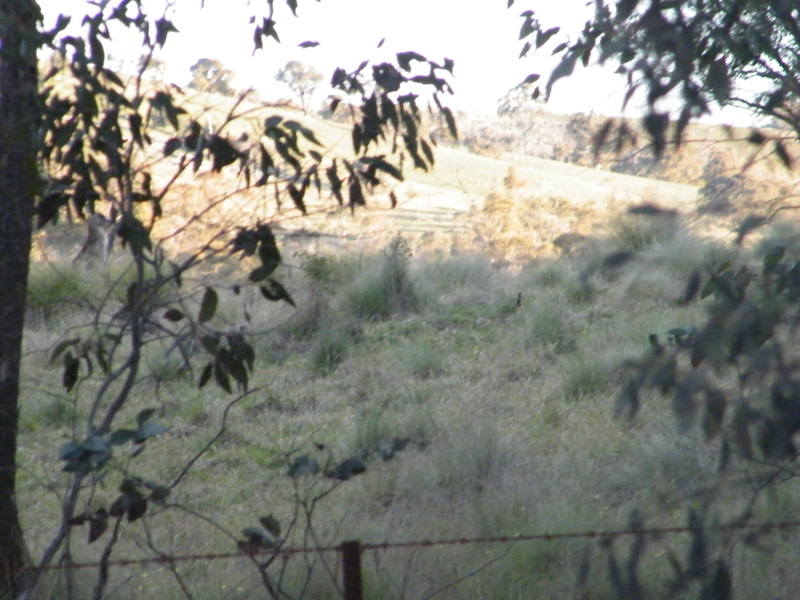 As we followed the road curving around the side of the hill, we saw them again and I took a few wildly hopeful shots. They were moving so fast and I was totally unable to see anything in the viewfinder, but I thought it worth a go. When I looked at the shots I had taken, the hills were bare – except for one photo. 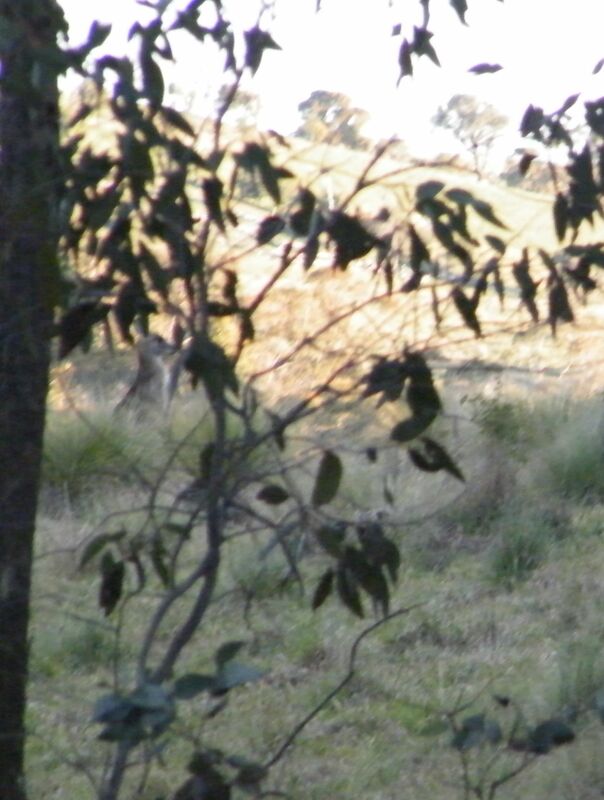 See if you can spot the kangaroo in the photo below. 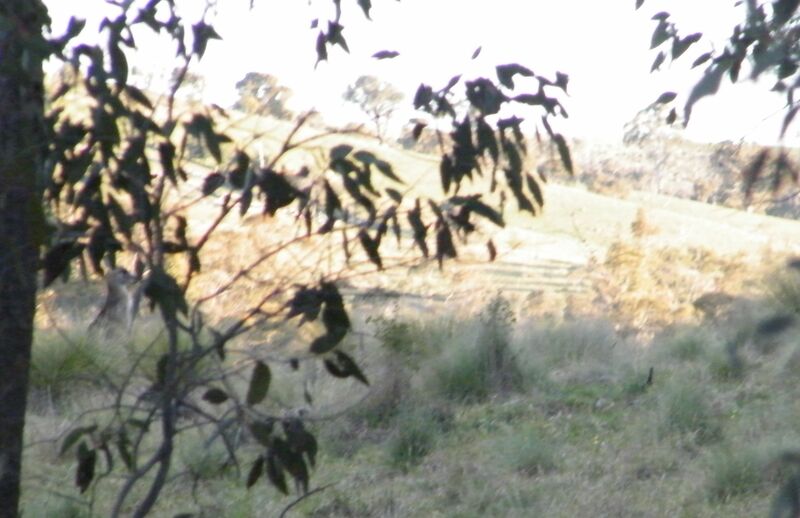 Kangaroos are a regular sight in this entire area. It’s rare to go out for a day and not see them. You have to watch for them, though, as they have absolutely no traffic sense. If there is a group, they will go in all directions, and you can be sure half of them will turn around and come back the other way, so seeing kangaroos or wallabies scatter off the road is no guarantee that they won’t be right back on it again before you’ve had a chance to get out of their way. Here’s that same shot, but I’ve homed in a bit. You can probably see him now. They are most active at night, at dusk and in the early morning, but they can be seen at any time of the day depending on the weather. When stationary, they are almost invisible, designed as they are to blend in with the scenery. Generally, if you see one, there will be more around. Look to the left – Yep, that’s it, there he is. See him? Here’s the final close up (below). 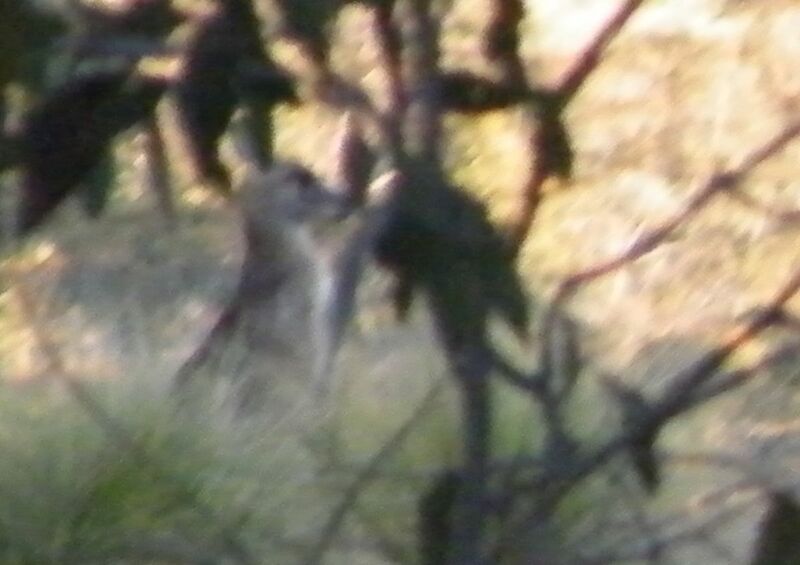 Not crystal clear, true, but it is a kangaroo. Dang hoppy thing! What is it, are they camera shy or something? Just wait, I’ll get a good clear shot yet. Have a great day/evening everybody. Glad you are enjoying your new camera. That’s his face. In profile. He’s looking to the right. Aw, i envy you because of those dozen of kangaroos and wallabies and it wasn’t on cages like what i saw at zoo in Sydney. really something to be envy to. Seriously? Wombat? hua, i really want to see that one, i just saw the model at souvenir shops T_T. Yess, i’l be waiting for the good picture. Yes, seriously, wombats. Some are quite big. Trouble is they walk along the road and are almost impossible to see at night. Cute Kangaroos ;D, so that’s why it is more interesting when it free in the wilderness 😀 :D.
Here it is: Kangaroos… and maybe wallabies. Far left mid top! I read down further and see you ended up giving it away anyway, but I saw it first! They can be dangerous buggers while driving at night! Totally agree with you about how dangerous they can be on the road at night. Some of them are huge and can come through a windscreen. Wombats are another menace and are even harder to see, but at least they won’t come through your windscreen.